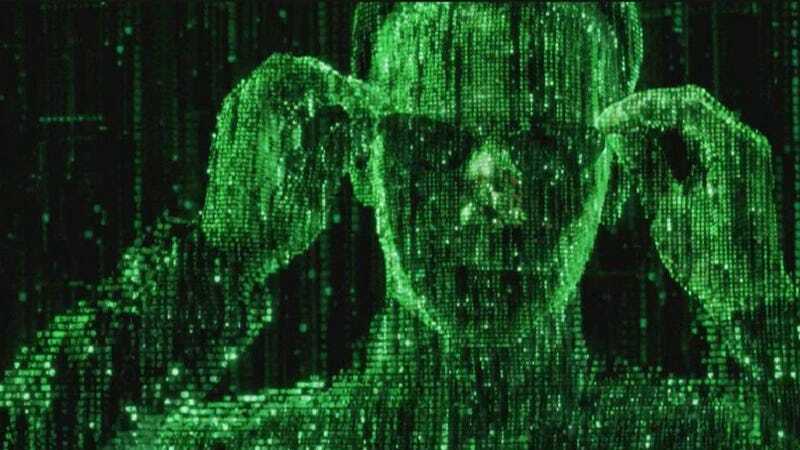 Back in 2003, Oxford professor Nick Bostrom suggested that we may be living in a computer simulation. In his paper, Bostrom offered very little science to support his hypothesis — though he did calculate the computational requirements needed to pull off such a feat. And indeed, a philosophical claim is one thing, actually proving it is quite another. But now, a team of physicists say proof might be possible, and that it's a matter of finding a cosmological signature that would serve as the proverbial Red Pill from the Matrix. And they think they know what it is. So, how could we ever hope to identify these constraints? Easy: We just need build our own simulation of the universe and find out. And in fact, this is fairly close to what the physicists are actually trying to do. To that end, they've created an ultra-small version of the universe that's down to the femto-scale (which is even smaller than the nano-scale). And to help isolate the sought-after signature, the physicists are simulating quantum chromodynamics (QCD), which is the fundamental force in nature that gives rise to the strong nuclear force among protons and neutrons, and to nuclei and their interactions. To replace the space-time continuum, they are computing tiny, tightly spaced cubic "lattices." They call this "lattice gauge theory" and it is subsequently providing new insights into the nature of matter itself. Interestingly, the researchers consider their simulation to be a forerunner to more powerful versions in which molecules, cells, and even humans themselves might someday be generated. But for now, they're interested in creating accurate models of cosmological processes — and finding out which ones might represent hard limits for simulations. "In other words," write the arXiv bloggers, "the cosmic rays would travel preferentially along the axes of the lattice, so we wouldn't see them equally in all directions." And what's particularly fascinating about this is that we can make this measurement now with our current level of technology. As the researchers point out, finding this effect would be the same as 'seeing' the orientation of the lattice on which our own universe is simulated. At any rate, it's a remarkable suggestion — one that could serve as an important forerunner to further research and insights into this fasinating possibility. Top image via. Inset image courtesy Silas Beane.